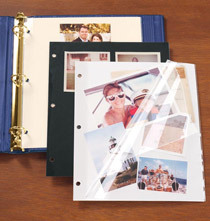 Classic good looks with sporty detailing define this leather Ivy League personalized photo album. This album stands out and grabs attention thanks to duo leather colors that combine to create a contrast that is quite distinctive. With spines and corners wrapped in saddle tan leather and offset with white top stitching, this is one photo album you will be proud to display. 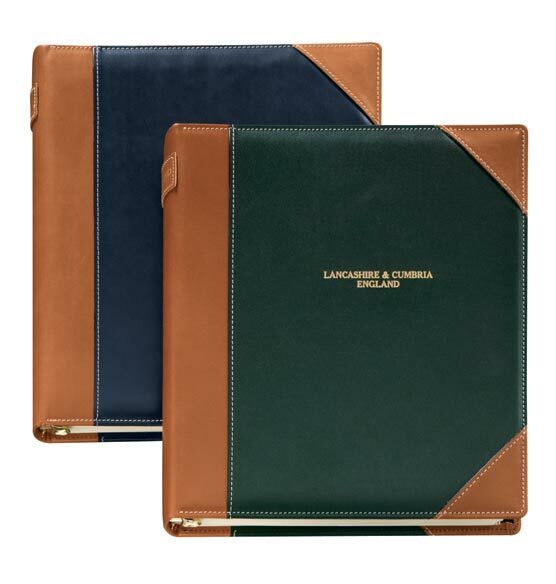 Two front cover corners and one sized and the spine feature tan leather, while the majority of the cover is in your choice of richly deep classic colors. The album's interior is lined in soft black suede for added luxury. Choices include green or navy blue. You can personalize the front cover of this album with a first or last name, initials, an important date or any text that describes photo content. AND IT ANNOYS ME THAT I GET FREE SHIPPING AFTER I ORDER.....!! Handsome album with excellent construction. The felt on inside covers is a nice touch. Easy to carry and easy to look at photos. I have purchased many of these over the years mostly for gifts. 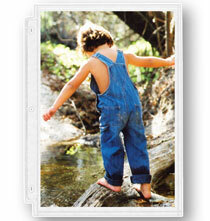 I have used them to hold family histories, hard copy of blogs and photographs. They are well made of quality material and will never go out of style. I do seem to have the same problem as one of the other reviewers. Free shipping comes along right after I purchase my albums. As the "welcome" book at our rental villa property, this album of local information for guests will get hard use... the cover's top-grain leather and leather-binding will ensure many years of durability. I have purchased this album many times before - the quality is very good and very attractive. I plan to use this as a memory book and want to put letters in it. Approximately how many sheets of paper will it hold? BEST ANSWER: Thank you for your question. This album can hold up to 40 – 3-ring photo pages. We hope this information will be of help to you. This was of no help to me as I don't know how a photo page compares to a regular sheet of paper. I already had the information which you provided as it was what I was looking at online when I sent the message. My question wasn't answered. What type of leather is used for the albums on this site...bonded leather? BEST ANSWER: Thank you for your question. 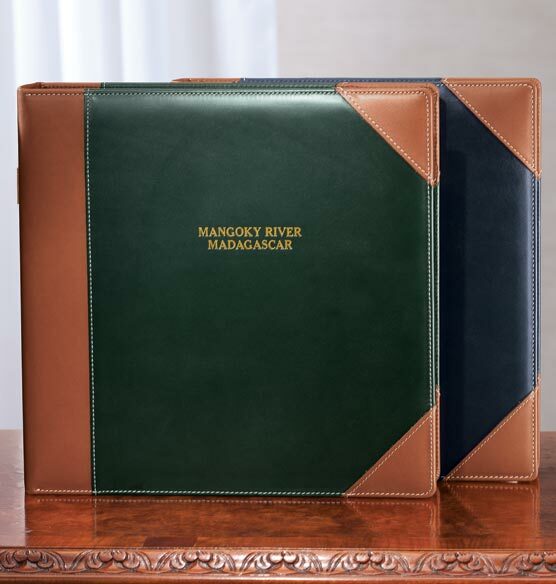 The Ivy League albums are wrapped in top grain leather. We hope this information will be of help to you. How fast can I get it ? BEST ANSWER: Thank you for your question. Orders placed with standard shipping are delivered in approximately 5-7 business days. We do also offer some express shipping options available for an additional cost. We hope this information will be of help to you. The item was in stock and shipped within 1-2 days of when I placed the order. I would like to order with no personalization. How do I do that? BEST ANSWER: Thank you for your question. You do not have to personalize this item. Click on one of the personalization choices, click the desired album cover, then click on the personalize tab. On the next screen check the box that states "I do not want to personalize this item". We hope this information will be of help to you. 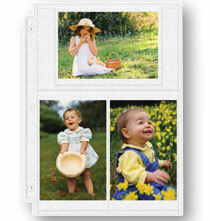 Will the photo pages hold letters on standard 8 1/2 x 11 inch pages? And do the photo pages come in black or just ivory? BEST ANSWER: Thank you for your question. 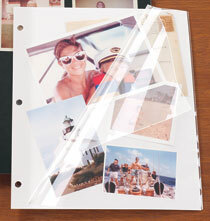 The pages are designed to hold photos and any other items. If the pages do not have pockets you will need to use adhesive to attach it. We hope this information will be of help to you. How many characters and spaces are you allowed per line for personalization? BEST ANSWER: Thank you for your question. Each line can have 20 characters. We hope this information will be of help to you.